His own departmental officials and trade union leaders urged him not to do it so why did DSD Minister Nelson McCausland insist on publishing the religious breakdown of Housing Executive staff working in North Belfast? 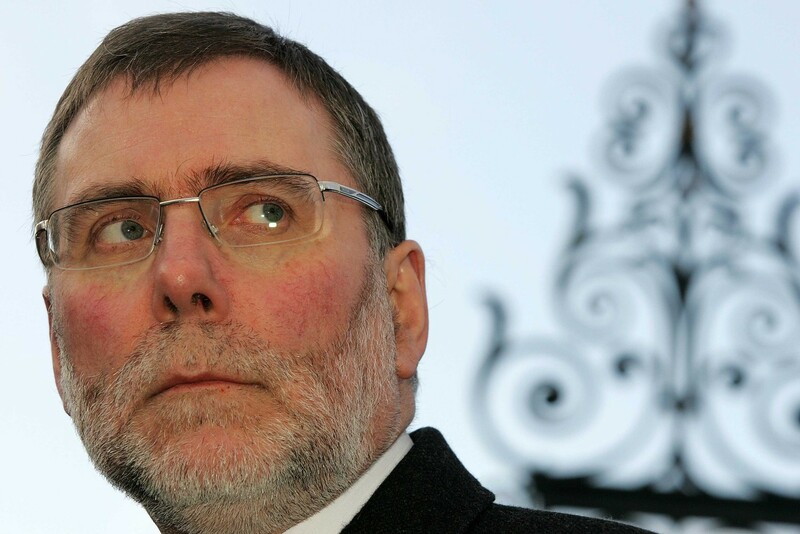 In February Social Development Minister Nelson McCausland caused anger when he chose to provide DUP assembly colleague Paula Bradley with a religious breakdown of Housing Executive staff employed in North Belfast. At the time the decision was widely criticised by trade union leaders and nationalist politicians who warned that publication of the religious make up of staff working in North Belfast offices could put their lives in danger. 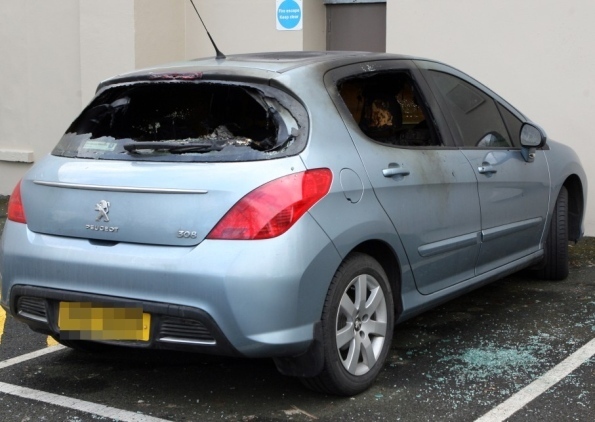 Less than a week later a car belonging to a Housing Executive employee was destroyed after it was set on fire by masked youths as it was parked outside the agency’s district office in Newtownabbey. Now The Detail can now reveal the existence of a series of highly sensitive internal DSD and Housing Executive emails which show that Mr McCausland refused to accept advice from his own officials against publishing the controversial figures. The controversy was first sparked on 24/01/12 when Ms Bradley asked the DSD Minister to outline the religious make up of Housing Executive staff in the North Belfast constituency. Both Mr McCausland and Ms Bradley are DUP MLAs for North Belfast. A series of emails obtained by The Detail under the Freedom of Information act (FoI) can now reveal a unique insight into how senior officials had urged Mr McCausland not to publish the sensitive figures but he chose to ignore their advice. One week after Ms Bradley’s initial assembly question Housing Executive director John McPeake sends an email to DSD’s Director of Housing, Jim Wilkinson, expressing serious concerns over the nature of the information which Ms Bradley had requested. Mr McPeake’s email, sent at 17.58pm on 31/01/12, warns that Housing Executive staff are “very sensitive” about the issue and are “concerned about potential risks”. In an apparent attempt to find a compromise solution Mr McPeake suggests that Ms Bradley could instead be provided with an overall “consolidated” figure, which will not leave Catholic or Protestant feeling vulnerable. The email states that such a compromise is supported by the Stormont assembly’s own policy on disclosure of sensitive information, which is designed to protect community background information where there are less than 10 Protestant or Catholic staff working in any one location. “You may also be aware that staff in the North Belfast office are very sensitive about this matter; that they are concerned about potential risks particularly for those who work on estates. Mr McPeake says the Executive accepts that it is legally obliged to answer assembly questions. However he goes on: “That said, the matter is clearly very sensitive and I would ask that we have a conversation about the format that ministerial response may take. “In providing the information we broke the figures down between staff working in the office and staff working on estates: if the minister decides to release the information, we would prefer to see the figures presented in a consolidated form. However rather than alleviating the concerns of housing staff Mr McCausland causes more consternation when he instructs DSD officials that he wants a religious breakdown of all Housing Executive employees throughout Belfast. “Folks URGENT Attached is your input sought on the above question. 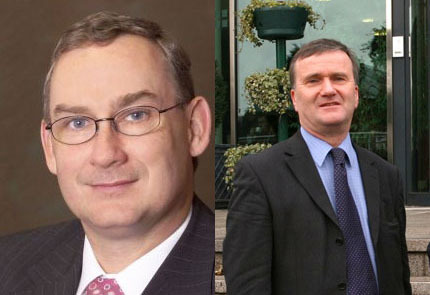 A follow up email is sent by the same official four days later on 06/02/12 informing key personnel within DSD and the Housing Executive that it is in fact not Mr McCausland who had demanded the religious breakdown of housing staff, but instead the request has come from DSD Permanent Secretary William Haire. There is no explanation as to why Mr Haire had requested the religious breakdown of staff or how the request had been been incorrectly attributed to the minister. Correspondence shows that at 12:38am on the same day Mr Haire receives an email from a DSD official revealing the religious breakdown of Housing Executive offices across Belfast. Once again the email advises that Housing Executive officials feel that, to ensure the safety of staff, it would be better for the minister to provide Ms Bradley with an overall breakdown of all Belfast offices, rather just figures for the north Belfast office. Despite Housing Executive concerns that it may be in breach of the Data Protection Act (DPA), a confidential background note is included with the email providing Mr McMcCausland and Mr Haire with the religious affiliation of staff members in each Executive district office across Belfast. Three days later on 09/02/12 the same official writes to Mr Haire again stating that Mr McCausland is continuing to insist that the religious breakdown of Catholic and Protestant staff in north Belfast be made public in the assembly. The DSD official sends another email 15 minutes later, this time to an official at DSD press office warning her to expect media enquiries as the minister is about to publish the religious breakdown figures, despite the concerns of staff, Housing Executive chief executive John McPeake and trade union leaders. When it is finally made public the assembly reply states that 83 staff employed by the Housing Executive in North Belfast are Catholic, 17 are Protestant and the religion of four employees is unknown. Less than a week later a car belonging to a senior Housing Executive official is destroyed in an arson attack at 11am in broad daylight outside the agency’s district offices in Newtownabbey in Ms Bradley’s own constituency. A PSNI has spokeswoman confirmed that police have still to determine a motive for the attack. The Detail understands that Housing Executive officials have been forced to review security measures at offices across Belfast as a result of the attack. In a series of written question to DSD we asked Mr McCausland to explain why he decided to publish the religious breakdown of Housing Executive employees in North Belfast against the advice of his own officials and despite staff concerns that their lives could be put at risk. We asked why Mr McCausland rejected Housing Executive chief John McPeake’s suggestion that an overall figure of staff employed in all Belfast offices could be published to avoid staff left feeling vulnerable. We asked why the minister and Permanent Secretary Will Haire needed a religious breakdown of all staff in the Executive’s Belfast offices and questioned if employees had been made aware that their personal details had been used in this way. We asked the minister if he felt that the actions of himself or Ms Bradley had increased employees’ concerns that their safety could have been put at risk. “Minister McCausland responded to the Assembly question in the format requested. We also asked DUP MLA Paula Bradley why she had originally asked for a religious breakdown of staff and whether she had considered withdrawing her request following the public concerns of Housing Executive staff. She chose not to respond.